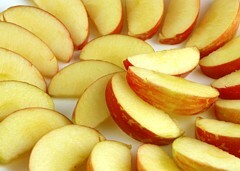 These apples equal 200 calories. But I am offering something that is completely calorie free! "My 200th post giveaway!" So I totally just skipped over my 200th post like it was NOTHING!! Hello! I dont' have a picture of it yet but I promise it will include hand made goodies from Close To My Heart (made by ME of course) and I am certain that it will contain some pampering items and a gift card to Target. So to be entered once leave a comment here! For a bonus entry go here and start a discussion you think others might want to comment on! You must live in the continental US because shipping will break me!! Best of luck! This giveaway will be closed on Wednesday September 30th! So comment NOW!!!! These are some of the cards I will be giving away. They come in bunches of 4 or 5 so YOU have more to give away! Yay! Congratulations on your 200th post! And wishing you many more blog entries yet to come! I happily forfeit my entry in your giveaway because I am commenting from Down Under and I know the postage would be astronomical. I will look forward to checking back to see who the lucky winner is later in the week. I am about to post a milestone number of blog entries myself tomorrow. I never thought blogging would be so addictive. Have a great weekend. Congratulations! Quite an accomplishment! I just love the picture at the top of your blog! I showed it to my husband and he loved it too! You've outblogged me by far. Does family qualify for your giveaway! Wow, 200! That will take me a while. Anyway, the cards are lovely! I wish I had the talent for that. wohoo for 200 posts AND a give-a-way! I love your cards, you are so talented. I just started a new discussion. Alright... I"m a sucker for giveaways!!! Hope you are all doing good! I'm in! Luv your stuff! 200 posts! Man I am such a slacker. Love your blog and mostly your pics! Wow, you are quite the blogger, congrats! Sign me up for the giveaway. Love your blog! I think we started our blogs at about the same time and you have definitely left me in the dust! It's been years since we've seen one another and I'm glad we found each other again, at least in the cyber world. Congrats on your 200th blog! Keep it up because although we probably live about a mile from each other now, it seems that's the way I find out about what's going on.